Deborah Halber started out as a daily newspaper reporter, then turned to the dark side to do public relations. She worked as a writer and editor for Tufts and as a science writer for MIT, where she chronicled everything from quantum weirdness (that's the technical term) to snail slime. A freelance journalist since 2004, her writing has appeared in The Boston Globe, MIT Technology Review, the graphic news magazine Symbolia, and many university publications. 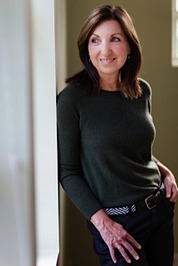 A member of the American Society of Journalists and Authors, Mystery Writers of America, Sisters in Crime, and the National Association of Science Writers, she lives near Boston in a house with a lot of former pets buried out back. We’d love your help. Let us know what’s wrong with this preview of Spoiled Brats by Simon Rich. We’d love your help. Let us know what’s wrong with this preview of The Age of Light by Whitney Scharer. We’d love your help. Let us know what’s wrong with this preview of Zinsky the Obscure by Ilan Mochari. We’d love your help. Let us know what’s wrong with this preview of The Elephant in the Room by Tommy Tomlinson. We’d love your help. Let us know what’s wrong with this preview of American Prison by Shane Bauer. Thank you very much for connecting. I'm thrilled to have seen your invite and I look forward to reading your book. It looks soooo good I may be drooling over it just a bit, lol!! A topic which is one of my lifetime loves and passions. I see your tour dates and one is so close, yet so far away for me, but if you ever come to Jersey for a signing I'd Love very much to be there.